Above - Ff. Gary Greene, Lt. Julio Lopes and Ff. 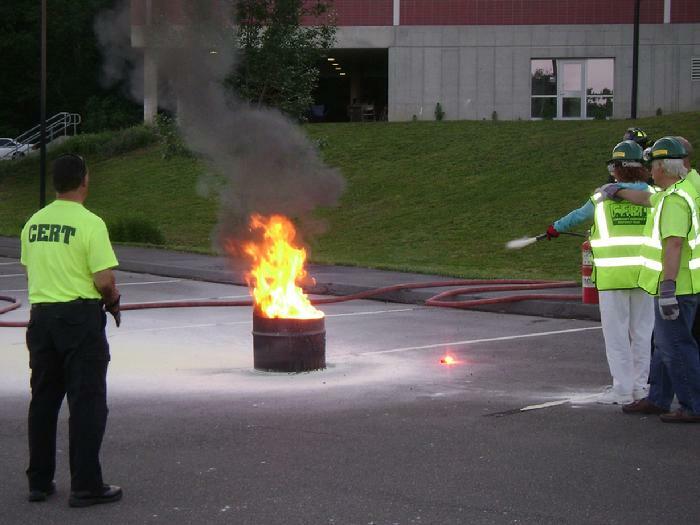 Greg Pereira of Hamden's Squad 1 stand by with a charged hand line during a CERT training session on portable fire extinguishers. 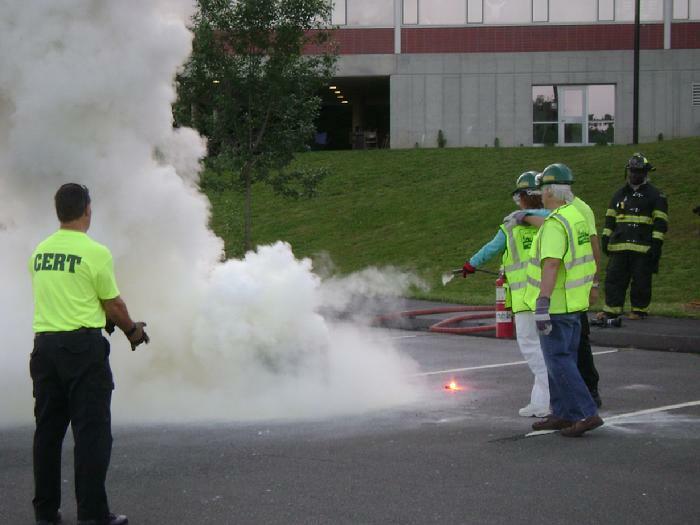 Bob Freeman (back to camera) and Greg Goulart conducted this final installment of the latest class of CERT volunteers at the Hamden Middle School. 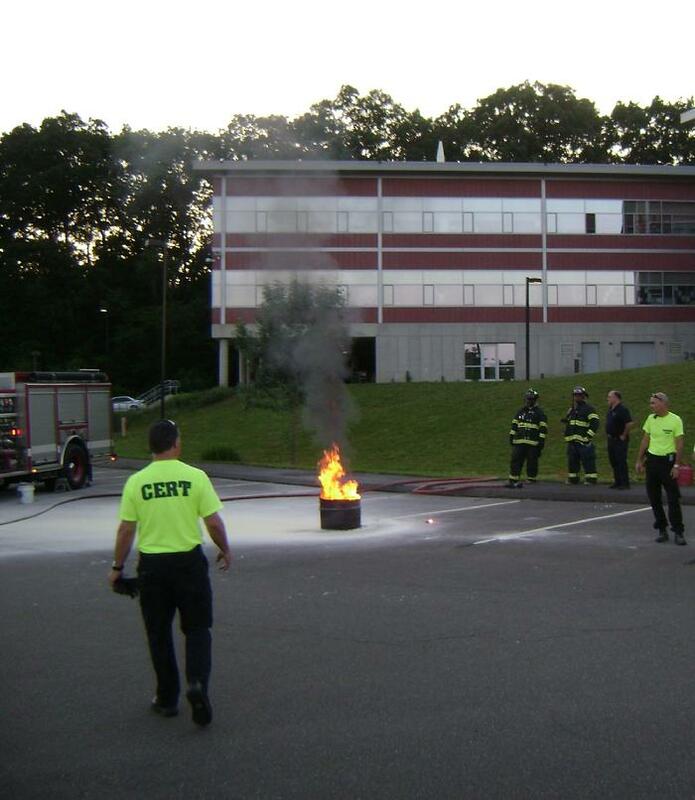 Below - Hamden CERT leader, Bob Freeman, directs two CERT trainees in the proper use of a dry chemical extinguisher on a Class B fire.